Translations and paraphrases of specific suttas of the Pali Canon, as well as articles on Pali language, history, and scholarship. NOTE: These are works in progress, and not finished works. Some blogs may contain factual inaccuracies or errors of interpretation. Blog material is reviewed and corrected continuously for publication. For the current versions, please buy my books. This is an essential part of my income. Presented to the members of the Buddha Center on Saturday, October 27, 2018. Welcome to the Teachings of Padmasambhava. Over the next few months I’ll be presenting one one-hour talk per month on the teachings of Padmasambhava, the great Tantric adept who is credited with the conversion of Tibet to Vajrayana Buddhism. These talks will be based on the book of the same title by Dr. Herbert Guenther. This is the only book in English on the original teachings of Padmasambhava, as distinct from the terma literature, which began to appear in the 11th century, three hundred years after Padmasambhava travelled to Tibet. Herbert Guenther is a renowned Canadian Buddhist scholar who was born in Germany in 1917 and died in Canada in 2006. Guenther was a genius who began to study Chinese at the age of 9. By the time he graduated from high school he had also learned Sanskrit. By 1943 he had earned two doctoral degrees in Germany. Guenther studied Pali, Sinhalese, Sanskrit, Tibetan, Chinese, Japanese, English, German, Russian, and Hindi seriously, and Hebrew, Greek, Latin, Arabic, Spanish, and Italian for fun. Between 1943 and 1950 he taught at Vienna University, whence he travelled to India where he lived and taught for the next fourteen years. He also studied with many prominent Tibetan and Mongolian lamas, including the Dalai Lama and others. He ended his career as Head of the Department of Far Eastern Studies at the University of Saskatchewan in Saskatoon, Canada since leaving India in 1964. He is survived by his wife, Ilse, also a Tibetologist, and two daughters, Edith and Nora. Dr. Guenther published nearly thirty books, including original works of Buddhist philosophy and scholarship and translations in German and in English in the Tibetan Buddhist tradition. His specialty was crafting an original phenomenological interpretation of Tantric Buddhist philosophy. The Teachings of Padmasambhava, published in 1996, was his last book. It is available from E.J. Brill in the Netherlands for US$210 (hard cover). Guenther’s writing is notoriously difficult. I’ve been studying this book for the past two years or so. For this series of talks I have paraphrased the main body of the book, using more conventional Buddhist diction than Guenther has. In particular, Guenther seeks to establish a precise philosophical jargon, borrowing from Husserl, Heidegger, and others, for his extensive translations from the original writings of Padmasambhava, available in no other English source. The result for the ordinary reader, however, can be confusing. Whitehead presents similar difficulties in his Process and Reality. Thus, one needs to read Guenther’s English translations in the context of the Tibetan originals, with special attention to their Sanskrit equivalents and standard English translations. Fortunately Guenther gives the Tibetan original for all of his translations, so we can check his version to see how it relates to the more conventional diction. Thus I have simplified Guenther’s language; précised, paraphrased, and expanded his presentation; added more detailed explanations where appropriate; and in particular I have endeavoured to use language and terms that are familiar to a general Buddhist audience. [ix]The name of Padmasambhava is well-known in the Himalayas, yet not much is known about his life and thoughts. His “biographies” were written much later. They are more concerned with his miracles than with his psychology and philosophy. [x]The study of the writings of Padmasambhava opens up a wealth of ideas and insights. The works of Padsamsambhava describe his inner experiences. His visions are symbolic allegories that speak directly to our deepest humanity. The life and ideas of Padmasambhava are enigmatic. That he was a real person is beyond doubt. He lived in the eighth century of the common era. According to tradition, he was not Tibetan. Rather, he was a foreigner from Oddiyana, a place famous for its magicians. Theories differ as to whether Oddiyana was located in Central Asia, the Middle East, or India. Padmasambhava stayed at the court of King Trisong Detsen, who also gave him his consort, Yeshe Tsogyal, as a gift. Yeshe Tsogyal was born in 757 or 777 CE, and died at the age of 60 in 817 or 837 CE. The former date suggests that Padmasambhava was presented with Yeshe when he left the court, the second, when he left the country, which would make Yeshe 17 in both scenarios (according to the traditional biography she had only been married to the king for a year and the marriage was unhappy due to Yeshe’s spiritual vocation). Herbert Guenther says that Padmasambhava was at the court of the king between 742 and 774 CE in connection with the construction and inauguration of the Samye monastery. 742 CE seems to correspond to Trisong Detsen’s year of birth, and 797 CE to the year of his death (he ascended the throne at the age of 13, in 755, and reigned till his death). Samye monastery was built between 775 and 779, so Guenther has Padmasambhava leaving the court of the king about the time that Samye was founded. After years of travelling about Tibet, and acquiring a considerable reputation, Padmasambhava left, or was forced to leave, the country, under mysterious circumstances, probably after the Great Samye Debate of 792-794 CE, perhaps about the age of 60. Other than this, little is known. The name, Padmasambhava, means “Lotus born.” It is not a proper name but a symbolic epithet. A lotus grows from muddy water, but is not soiled by it. Thus it is a symbol of living in the world without being afflicted by it. Guenther says that Oddiyana was located in the Middle Near East, in the area of Iran, Turkestan, and Central Asia. This was also the source of Tibetan agricultural techniques, which has led to the speculation that Padmasambhava was actually an expert in irrigation or water works. This area was full of Christian, Gnostic, and Manichaean influences. Padmasambhava may have been a refugee from the collapse of the Sassanian dynasty. This was the result of the onslaught of the Arabs. The Arabs occupied the territory of the Tokharians and Sogdians in the seventh century. Padmasambhava rose up the social ladder of Tibet because of his intellectual and practical skills. He became known as the “eminent tutor/instructor” or the “wise man from Urgyan.” Nevertheless, he also encountered much hostility. According to Guenther, King Trisong Detsen recognized Buddhism as the state religion of Tibet about 771 CE, at the age of 29; other sources say he announced his acceptance of Buddhism when he ascended to the throne in 755 CE). This led ultimately to a conflict between the Chinese Buddhists, who preferred a more quietistic form of Buddhism, and the Indian Buddhists, whose approach was more analytic. The king finally favoured the Indian side and the Chinese were expelled from Tibet (ca. 794?). Increasing anti-foreign sentiment, sectarianism, and intolerance, including the conflict between Bon, the indigenous religion of Tibet, and Buddhism, soon forced Padmasambhava, himself a foreigner, to leave Tibet or go into hiding, at which point he vanishes from history. Legend has him travelling to China or Bhutan. Padmasambhava’s works fall into two groups. The first group reflects his extraordinary visionary attainment and is rich in myth and metaphor. His main topics are who we are, what we have lost, and what we are going to become. This takes the form of a conversation between a teacher and a disciple that takes place in a pure land or a spiritual realm. Padmasambhava produced these works in Tibetan together with his editor/translator, Kawa Paltsek. Kawa was ordained by Santaraksita (725-788 CE), the original founder of Samye monastery that Padmasambhava helped to inaugurate. Padmasambhava prophesied that Kawa would become a great translator. In fact he supervised the cataloguing of the collections available in the royal libraries in 818 CE. The second group also deals with visionary experiences of an imaginal-psychological nature but is more conventional in style and content. This group was edited by Vairotsana and is more Indian in style, and was therefore more acceptable to the Tibetan establishment. Padmasambhava was unorthodox, even heretical. For this reason the “secret” works may have been seen as subversive and better kept secret. Padmasambhava begins by exploring experience in the primary sense of a living process the immediacy of which transcends mere theorizing. The experiencer feels its dynamics to be non-local, yet he is so involved with it that he feels himself to be the world just as he feels the world to be himself. The dynamics of this “core creative force” manifest through images and symbols that have a luminous, radiant quality. Thus, living in the immediacy of these images we are already luminous beings. We cannot interpret them without appreciating them in terms of our being in nature. Thus, these images and symbols are physical, and therefore sensual. The bodily immediacy of sheer physical presence is not found anywhere else than in the images, experienced and experienceable, that in turn lead to different physical and mental constructions, depending on the point of view of the experiencer. Padmasambhava’s “intrapsychic dialogue” lets the Teacher, who is “utterly free from the limitations set by the categories of rational thought,” respond to the question of the “Little Man who is the whole’s self-manifesting Light,” about the emergence of the whole’s brilliant and radiant luminous functionality. Everything owes its existence to this dynamic. Gnostic (Sethian and Valentinian) and other ideas may be found in Padmasambhava’s works. Calling him a syncretist ignores the tremendous transformation that these diverse ideas have undergone as he welds them into a new structure based on his visionary intuition. The uniqueness and sovereignty of his thinking shows itself at its best in this creative understanding. Padmasambhava’s holistic vision transcends the traditional division between mental and material, emotional/instinctual and spiritual, in two related meditative practices, viz., spyi-ti (“universal”) yoga and yang-ti yoga or “dark practice,” where the term yoga is understood as a “leap,” reflecting the Sanskrit meaning of “intense action.” Spyi-ti yoga refers to “the leap that aims high,” whereas yang-ti yoga is “the leap that makes the one who takes it supreme.” One might gloss these as meditations on the light and on the void respectively, illumination and annihilation, corresponding to two essential attainments of the path. Padmasambhava explains spyi-ti yoga as “breaking through” one’s spiritual experiential framework, exposing the core of spiritual praxis (upaya), understanding “yoga” as the authentic union of wisdom and praxis. The Buddha “Excellent Goodness” links this spyi-ti experience with the energy of reality. The spyi-ti experience is complete illumination, “the very dimensionality of the whole’s intensity/energy,” perfect, beyond morality, and beyond rationalization. Although it may clarify many aspects or dimensions of reality, reason, in Padmasambahva’s view, also dichotomizes, narrows, impoverishes, and restricts. That which cannot be grasped by the ego is disregarded, which is a great mistake. The spyi-ti experience is a revelation of the experience of primordial purity (ka-dag) and liberation (kun-grol). Padmasambhava’s thinking starts with the immediacy of experience that, characterized by purity, energy, and its symbolic character, is an object of immediate intuitive apprehension that precedes and is the condition of mere representational ego-centred thinking. 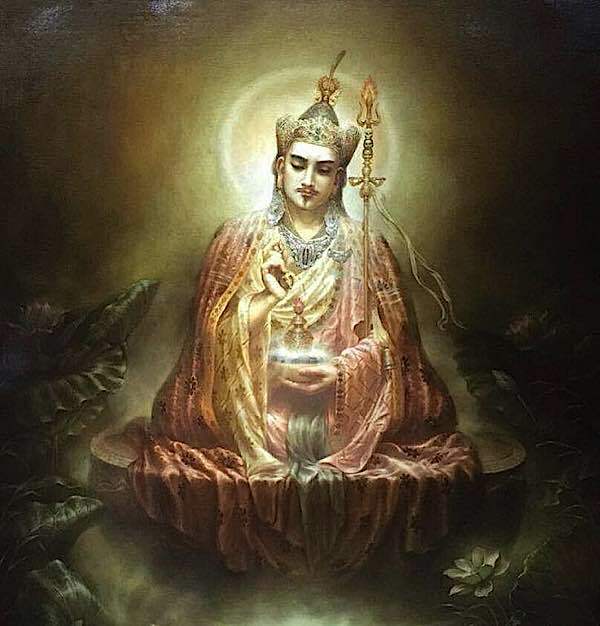 Guenther renders kun-grol by “loosening up,” recalling the injunction of Zoroaster to “loosen the girders of the soul.” Guenther quotes Padmasambhava, “The culmination of the ‘loosening up’ and dissolution of the experiencer’s world of phenomena is the attainment of the whole’s radiant and pure dimensionality in which meanings are born … the whole’s No birth ultimate symbolic pregnance … the whole’s No thing ultimate depth and width…  With the ‘loosening up’ and dissolution of the world of phenomena there is no longer any cognition of it, and with its non-existence the experiencer’s mental/spiritual foundation (sems-gzhi) dissolves in the whole’s unfathomable depth and unlimited width.” The spyi-ti experience is a “leap that aims high,” expressing Padmasambhava’s relentless search for the elusive absolute, the nothing that is something, that inheres in the objects of ordinary experience, the somethings that are nothing, by the method of negation, similar to the Indian yoga characterized by the mantra neti neti (“not this, not this” or “neither this nor that”), a.k.a. the method of reversal. No matter how high one “leaps” in the context of the spyi-ti experience, a vestige of the representational thinking that the experiencer seeks to transcend remains. Thus Padmasambhava says that the one who takes this leap of the spyi-ti experience is not supreme. Padmasambhava further describes the complexity of the situation in which we find ourselves as a vortex that has no end. Thus, the teacher is the universal centre, self-originated, trans-rational, and self-lucid. The Little Man of Light (rang rig khye ‘u chung, lit. ‘embryonic self-knowing awareness’) asks the question and records the teaching that is the self-dissolution of the pure self-liberation (gsal dag rang grol) of the whole of reality in a timeless moment (thig mtha’med-pa). The yang-ti experience is the transcendent goal of the spiritual path, experienced as a leap that makes the one who takes it supreme. Padmasambhava compares it to the neck ornament worn by the leading animal in a caravan. The teacher is reality, realized as the uncaused primordial purity (ka dag skye-med). The entourage of the Teacher, of which the Man of Light is a part, is the Buddha field or realm of which the Teacher is the centre, and energy the radiance of the Clear Light (‘od gsal). The chronicler is represented as a Precious Jewel (gsal dag rin chen). The teaching displays the whole’s utterly transcendent character (skye-med). Language imprisons us in objectification. By “transcendent character” we do not mean merely some thing that is not caused, but rather that causality itself has no meaning there. The disciple “Precious Jewel” asks the teacher, “Transcendent Purity,” what is the relationship between the supreme leap and the leap that aims high (but is not supreme)? In other words, what does “supreme” really mean? The answer begins with an affirmation of the mystery underlying this question, and then elaborates the nature of the spyi-ti experience. Padmsambhava says that the spyi-ti experience is the highest of the nine vehicles (yanas), referring to the traditional Nyingma classification of the Buddhist path that includes all paths. It is the direct realization of the whole. The spyi-ti vision is ultimate, complete, supreme, and miraculous – recalling the Buddha’s statement in the Pali Canon that dharma teaching or instruction (anusasani) is the real miracle. It completely dissolves the division of samsara and nirvana in the ultimate non-localizability of the whole’s primordial purity (ka-dag). The meaning of the whole, which has nothing to do with labelling, emerges as an independently self-validating experience that abides in the immediacy and stillness of reality. The causeless, non-material goal of the path transcends rationalization. This teaching is not derivative but emerges directly from the Absolute, represented by the letter A, the first letter of many alphabets that represents the original utterance, coterminous with language but also beyond language, i.e., the symbolic. Reality dissolves like a lump of earth in water, in the ultimate primordial purity. Padmsambhava ascribes the explanation of the yang-ti experience to the teacher, “Primordial Purity.” It is clearly “ec-static,” in the original etymological sense of “standing outside.” This is also the primary experience of prehistoric shamanism. According to Padmasambhava, the yang-ti experience is identified with the energy of the sun and the moon, uncategorizable, invisible, non-referential, creative, and beyond rationalization. It is the” loosening up” and dissolution of the whole of the phenomenal in the ultimate nameless (ming med chen-po). It is the causeless primordial purity, the Not. The yang-ti experience differs from the spyi-ti experience in that it is utterly trans-rational. It is a continuous “loosening up” and release from standard representational thinking based on the subject-object dichotomy. It penetrates the very potential being, ‘creative potentiality,’ or pure potency that has no structure of its own, or the whole that is purely energetic and seminal. The Tibetan word is thig-le, which refers to the essential point or germ; the vital seed, circle, or disk; the luminous sphere, identical with the void, as well as the male and female generative energy. Etymologically it refers to the underlying architecture of reality itself and thus, in Guenther’s jargon, ‘in-formation dynamics,” a clever but rather impenetrable neologism. Going forward I will prefer the translation “creative potentiality” for thig-le. Guenther refers to the “creative potentiality” as the “eigenfunction” of the void of reality’s energy, a mathematical term that implies that the original energy is expressed in the space-time continuum through the thig-le as its instrumentality. The thig-le then is the seminal creative principle. It is undemonstrable and trans-rational, symbolized as a lamp by which a treasure in a dark cave may be found. Similarly, the energy of reality is insubstantial yet manifests as all beings. Its unity originates multiplicity, which returns to itself through self-integration (samadhi). It cannot be compared with anything, yet it possesses all observable qualities, yet cannot be found in any one of them. The thig-le is thus ultimately permanent and changeless, as the Buddha says the dharma is. It is beyond perception and therefore beyond the intelligence that works based on the patterns of perception and therefore cannot be turned into an intellectual construct. It is omnipresent and unitary. The primordial purity, non-substantiality, stillness, and utter emptiness of reality is not observable yet it is the ground of the emergence of the demonstrable, which is endless. The phenomenal is endlessly self-proliferating, but no ground is identifiable. The teacher “Primordial Purity” turns to the annihilating force of the creative potentiality, which produces everything visible and invisible. Padmasambhava says that the creative potentiality annihilates the visible and illuminates the ignorance of the ‘timeless/pristine awareness’ (mthing-brtol ye-shes), Guenther’s “originary awareness modes,” the duality of which exists only in the dichotomizing intellect. The yang-ti experience is non-binary. Therefore there is no difference between ignorance and wisdom; understanding and non-understanding are the same from the perspective of the path. Timeless/pristine awareness is neither obvious nor divergent. Once the creative potentiality annhilates samsara, there is real understanding, there is no longer a way to go awry, since errancy is itself samsaric, an insight also testified to in the Pali Canon. Padmasambhava refers to the simile of the rising run that does not dispel the darkness of night but simply shines on its own. The sky is neither light nor dark, it is simply empty space. Padmasambhava’s reference to the path (Guenther’s “way”) emphasizes the dynamic character of what we might erroneously refer to as “absolute transcendence.” As Guenther notes, the absolute is a static concept that cannot affect us in any way, yet it is the source of novelty. From the binary perspective of reason, the path or way is “the instability phase between two structures” (quoting Eric Jantsch). However, from the unified perspective of the whole, the way appears as a giant fluctuation. As Padmasambhava says, reality does not change into something else; rather, reality’s pure and unerring energy is autonomous, primordially pure, non-objective, and trans-rational. The primal dissipation and unfolding in reality’s primordiality is neither illumination nor errancy Just as becoming human, perfect enlightenment, is a giant fluctuation, so is the whole itself a giant fluctuation. Thus, Padmasambhava says that before anything became anything,  the functional differentiation radiated as rays of understanding in the impartial nameless identity of everything with itself. Without even the possibility of stasis, the functional differentiations subsided in the vortex of reality that is their ground and source. A person who attains Buddhahood, understanding the identity of the binary, is not bound by the binary, even though they may appear to enter into the binary (“in the world, but not of it”). Reality as being is the mother; reality as experience is the child. The mother and the child are one being and not two. Thus, Padmasambhava says that the mother is a mother by virtue of the child, and the child is a child by virtue of the mother – the poles of the binary cannot be separated, but define each other and are thus ultimately unitary, just as the unitary is ultimately nothing and nothing is ultimately something – a perfect roundel. The intrinsic nature of mind, which is empty awareness (the “sheer intensity” of “thinking’s thinking” in Guenther’s jargon) and the suchness of reality constitute a binary. The spyi-ti experience is the realization of the intrinsic nature of mind, whereas the yang-ti experience is the realization of the suchness of reality. The yang-ti experience represents a shift in attention in which the suchness of immediate experience is given precedence over reality as a lived and reflected-upon experience. The intricate and intimate interweaving of these nuances is the immediacy of existence that we experience as a tension field. The binary of spyi-ti and yang-ti determine the inner limits of the process of our becoming and being truly human. The emphasis of the yang-ti experience on the meaning of suchness is explained by Padmasambhava as the transcendence of reason in which the multiplicity of phenomena dissolve into the unfathomable vastness of the depth and width of the whole. The dynamic differentiation that is the labelling of phenomena dissolves into the void, including the agitations that they excite and the limitations under which they work. The binary principle in itself is an arid abstraction. Padmasambhava extends the binary relation between the being that we are and the being that we experience by adding a third term, in terms of a family consisting of a father, a mother, and their only son, thus establishing the centrality of the human principle. Padmasambhava says that mind is the archetypal Father, non-demonstrable from time before time, whereas the meaning of suchness is the archetypal Mother, self-created, unitary, from which is born the only Son. Father, Mother, and Son also appear in the Lotus Sutra. The Buddha compares himself to a king, the sutra to a queen, and the bodhisattva to their son, alluding to a formula called in Cabala the Tetragrammaton, ‘Yodh he waw,’ referring to “the secret law of the buddhas.” Suchness is ultimate ignorance. Guenther notes the similarity of Padmsambhava’s thought to Barbelognostic and Valentinian gnostic ideas, but without the Gnostic emphasis on patriarchy. Enlightened ignorance (as distinct from ontological ignorance) is the realization of the essentially non-rational character of suchness, thus setting the experiencer free from the ontological ignorance of logic, reason, and intellect. Enlightened ignorance is the matrix of realization. The energy of the binary is experienced as the kinetic (thabs) and cognitive (shes-rab) principles of the whole. Together they generate the Son, who symbolizes the total spontaneity of the situation. Thus, the Father or King manifests as praxis, the Mother as wisdom, and the Son as spontaneity. Non-origination and non-cessation lead to the problem of a beginning and an end. The very question expresses the static world view. In the process-oriented philosophy of Padmasambhava the question is redundant or meaningless. In Tibetan the words signifying ‘beginning’ and ‘ending’ also refer to area and are spatio-temporal. Thus, if there is no beginning/end/top/bottom, we humans are the middle, the ‘in-between,’ the ‘inter-being,’ the bardo, an unpredictable and incalculable phase transition. Padmasambhava’s answer to this problem is the bar-do (lit. the ‘intermediate stage’ or ‘interval’). Despite some controversy we find this concept expressed in the Pali Canon, attested to by no one less than Bhikku Bodhi himself. Padmasambhava identifies the non-existent beginning/zenith with the Father, the non-existent end/nadir with the Mother, and the non-existent interval with the Son, who has resolved the uncertainty about what is zenith and what is nadir by realizing the middle or, as we may say, the centre of the quaternary. Padmasambhava’s threefold nothingness resembles the threefold Ain, Ain Soph, and Ain Soph Aur of the Tree of Life of the Hebrew Cabala, where we also find the doctrine of the Tetragrammaton, which includes a threefold form of Father, Mother, and Son (the fourth term of which is really identical with the Mother), as a representation of the method by which the world-process maintains and develops its imaginal-experiential character. This tripartite void becomes the pre-ontological and pre-actual reality of ourselves, in which our potential individuality is the Father, non-locality the Mother, and the Clear Light the Son. The Clear Light to which Padmasambhava refers is a potentiality of the mind as such, not an actual world. Similarly, the meanings of suchness and the dimension (dbyings) in which such meanings are constituted are also potential. The symbols of Father, Mother, and Son, reminiscent of the Divine Triad of the Gnostic Sethian pantheon, express the fundamental humanity of the cosmic forces/processes that are working themselves out through each individual nature which expresses the past, is the present, and anticipates (or creates) the future. 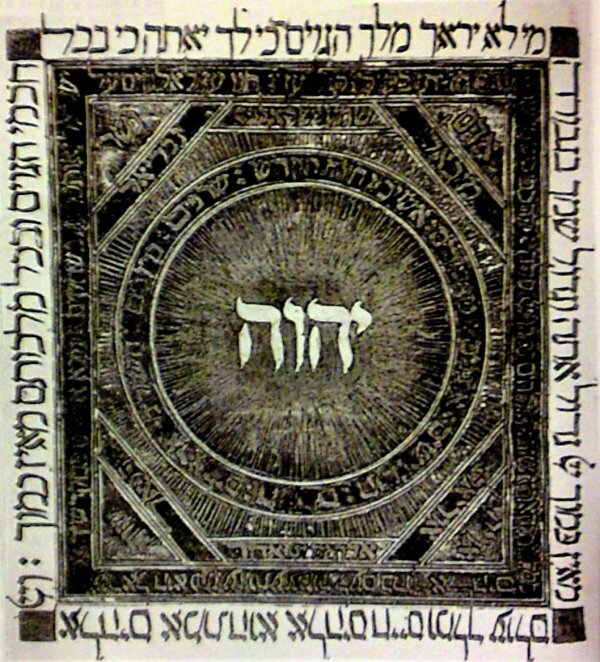 As in Gnosticism, transformed by Padmasambhava’s radical process-oriented philosophy, the process of becoming human begins as a descent, perhaps even a fall, through fragmentation and dispersion from a world of light (Abhasvara) followed by an ascent of penetration into the mystery of the whole, expressed in static terms as a return to one’s original spiritual home. However, in Padmasambhava there are no saviour and no sin. The whole process is one of vital and continuous self-renewal, self-discovery, and self-transformation by the whole through the experience of a self-originated symbolic process. Padmasambhava reveals himself as a “great man” (mahapurusha) whose vision and evolutionary thinking were far ahead of his time and remain unparalleled throughout the history of Buddhist thought. Corbin, Henry. The Man of Light in Iranian Sufism. Trans. Nancy Pearson. New Lebanon, NY: Omega Publications, 1994. Guenther, Herbert. The Teachings of Padmasambhava. Leiden, Netherlands: E.J. Brill, 1996. Thanks to John Canti of 84000.co for their assistance.